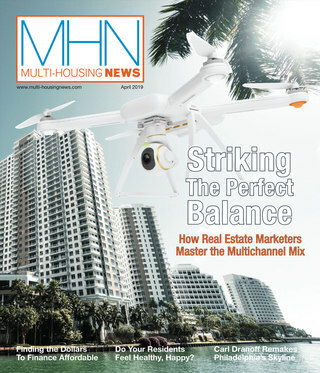 Multi Housing Advisors recently expanded its offices to Charlotte, N.C. MHN talks to Marc Robinson, co-founder, Multi Housing Advisors, about his thoughts on the multifamily market in the Carolinas and some national development trends for the industry. Charlotte, N.C.—Multi Housing Advisors LLC, formerly called Southeast Apartment Partners, which is headquartered in Atlanta, recently expanded its offices to Charlotte, N.C. Marc Robinson, co-founder and co-managing partner, Multi Housing Advisors, is joining Jordan McCarley in heading that new office. 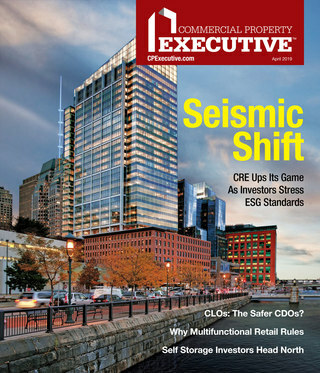 MHN talks to Robinson about his thoughts on the multifamily market in the Carolinas and some national development trends for the industry. MHN: What are your main priorities in Charlotte? Robinson: My position within the firm has not changed much; rather, my focus on a day-to-day basis has changed with my relocation to Charlotte. My current priorities are to help build out our rapidly expanding Carolinas team and to enhance our market share in this region while continuing to work on our overall company growth plans. We have added some great new people in our Charlotte office, as well as throughout the firm, and are building upon the great foundation that Jordan McCarley has worked hard to establish here in Charlotte. MHN: Why are you excited about Charlotte and the Carolinas in terms of multifamily? Robinson: The markets in the Carolinas will continue to be growth markets due to strong job creation and population growth. There are two key population and job centers with Raleigh/Durham and Charlotte, but there are numerous other secondary and tertiary markets in North and South Carolina that are active investment markets. Both states have excellent state university systems producing well-educated people who are doing innovative things. MHN: Do you think the market there is unique from other areas of the country? Robinson: There are some unique and meaningful characteristics that make the Carolinas attractive. First and foremost is strong leadership. There is strong leadership at the state, local and city levels throughout both North and South Carolina that has led successful efforts to attract employers, investment in infrastructure and to reinvent former manufacturing-based economies to position this region well for sustained economic growth. The Raleigh/Durham market is unique to any other market in the Southeast and comparable to some of the other high-tech markets around the country in the innovative work being done at the Research Triangle Park (RTP) and the surrounding universities (UNC-Chapel Hill, Duke and N.C. State). Charlotte is the largest banking center outside of New York, and its overall economy is much more diverse than often perceived. Additionally, the region has excellent natural resources with coastal and mountain regions that attract tourism, retirees and second-home investment. MHN: What are some of the multifamily trends you’re seeing on the national level? Robinson: The multifamily sector has experienced explosive rent growth over the last 18 months driven by the increased preference for rental housing shown by both the generation Y and baby boomer population segments. This combined with the unfavorable for sale housing market has resulted in an excellent improvement in fundamentals that is now serving as the catalyst for an apartment development boom that is forming. Infill locations in larger urban metropolitan areas continue to be the desired option for both renters and investors. MHN: What are some challenges multifamily is facing? Oversupply is a concern that is beginning to form in certain markets. The United States is clearly shifting to a renter-based society, and we are excited that our firm, Multi Housing Advisors, is at the epicenter of that incredible growth and opportunity. It is clear that North and South Carolina will continue to demonstrate demand for rental apartments, and while investors will need to be careful, the outlook is very favorable, and I am privileged to live and work in such dynamic markets.